A Georgia resident that holds a standard license, commercial license, or learner’s permit can obtain a copy of their DMV report in Georgia. The GA DMV abstract or driver history report is issued by the Georgia Department of Driver Services. The report contains a full history of the driver’s record as a motorist in the state of Georgia as well as in other states. By obtaining a copy of the GA DDS report, drivers can learn about what is contained within their personal driving record. This allows them to ensure the accuracy of their driving record as well as allowing them to make certain that all of the information has been properly updated by the Georgia Department of Driver Services. All motorists registered in the state of Georgia have a Georgia driving record. This record can be obtained as a 3-year GA DDS abstract or as a 7-year Georgia driving record report. The information contained within each report varies based on the past driving history of the motorists. Some of the information which may show up on the report includes recent tickets for speeding, changes to driver license status, and any DMV points added to the license. It is recommended to check your driving record every year or once every three years in order to learn about any changes that have been made to your GA DDS license history. Your Georgia DMV report contains a comprehensive listing of any infractions, points, or offenses committed by the driver. Any erroneous information listed there could affect your insurance premiums as well as certain employment opportunities. Check your driver license record online to find out exactly what is listed on your report. What is on My Georgia DMV Motor Vehicle Report? Your Georgia DMV motor vehicle report has all of the information related to your driving history from the time you became a registered driver. Depending on where you order your DMV report, you may see a partial list or a comprehensive listing on your driving history report. When you order your driving record with 4safedrivers.com, you will have immediate access to important information related to your history as a driver. You can find out whether there are any convictions, suspensions, reported accidents, violations, or special license classifications. Drivers who are interested in finding out how many points there are on their driving history with the Georgia Department of Driver Services can look up their record online with 4safedrivers.com. Any points that are listed on a DMV record in Georgia will be connected to the offenses that took place while the driver was operating a vehicle. In Georgia, The Division of Driver Services uses a point system to assign a certain level of severity to each offense. Each infraction has a specific point value and when the limit is exceeded, the license may be suspended or revoked. To check GA license points, it is recommended that a driver obtain a copy of their DMV license report in Georgia. This report can be obtained online and contains all of the information a driver needs regarding how many points are on their license. Drivers wondering how to obtain GA driving record can fill out this short form to obtain a copy of their GA driving history by email. What if there are points on my Georgia license? Georgia drivers with points on their licenses may end up paying higher than normal insurance premiums. In addition, if an employer checks the driver history report and finds more than the standard amount of points, this could be cause for losing an employment opportunity. In addition, too many points on a Georgia driver license could result in the license being suspended or completely revoked. The Georgia Department of Driver Services assigns a point system ranging from 2 to 6 points for one conviction. After 15 points or greater are collected within a 24 month period, the driver license will become suspended. Drivers who are registered with the State of Georgia and who have points on their licenses are not able to remove them from the full record once they have been added there. However, if the point total is incorrect, it can be reduced by contacting the Georgia Department of Driver Services. Up to a total of seven points can be removed from a driver’s license in Georgia once in every five years. In Georgia, insurance rates can increase dramatically if there are too many points on a driver’s license. In addition, employment opportunities may be compromised. A driver can also request that any inaccuracies be removed from their GA DMV license report. To complete the removal, they will need to contact the local GA DMV location to request that the information be accurately updated. Reducing the overall points on your Georgia license can assist you in qualifying for reduced insurance rates. You can also increase your chances of gaining employment especially in a driver related field such as commercial driving. Take the time to check your Georgia DMV motor vehicle report today. The insurance company will review the information contained within your GA DDS abstract. If there is any negative information present such as recent accidents, tickets, traffic violations, traffic offenses, or convictions, the insurance company may consider the application as too risky. In the event that they do extend a quote to you, you will find that the insurance premium is much higher than normal. An insurance provider can view the information found within a Georgia driver history report for the past three to five years or longer. If you are applying for insurance or you need to switch insurance carriers, it helps to know how the information found within your GA driving record DMV report could affect you. Obtaining an accurate and updated H6 GA DMV printout is the best way to know what information the insurance company is seeing. At 4safedrivers.com, we offer a secure driver’s license record service where you can pull your GA driving record as reported by the Georgia Division of Driver Services. The record we provide to you is not just an online public record but is a comprehensive record as maintained by the official GA DMV. Order your GA driver record today and receive it conveniently by email. 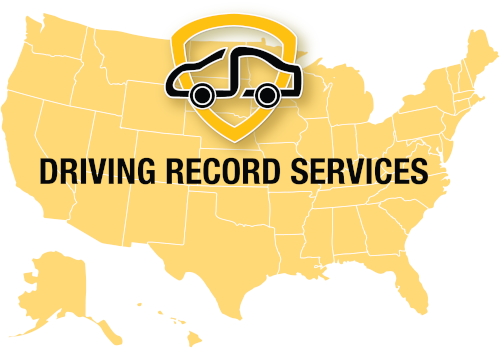 With our fast and convenient driver license record service, you can receive your driving record in just a few minutes. We are proud to provide one of the fastest and most accurate services that allow Georgia motorists to view their driving histories by email. When you order your driver record in Georgia from the local DMV office, it could take days before you receive your report. However, our fast and convenient service allows you almost instant access to your driving record without the wait. The Georgia Division of Driver Services updates your driving record whenever there is a change to your driving history. We obtain the same record as reported by the Georgia Division of Driver Services. This guarantees that the information found on your report is legitimate. However, this doesn’t mean that there aren’t inaccuracies there. It is important to check your Georgia driving record to make sure that all of the information listed on your Georgia driving record is correct. It is important to take the time to order a copy of your Georgia driving record as soon as possible.